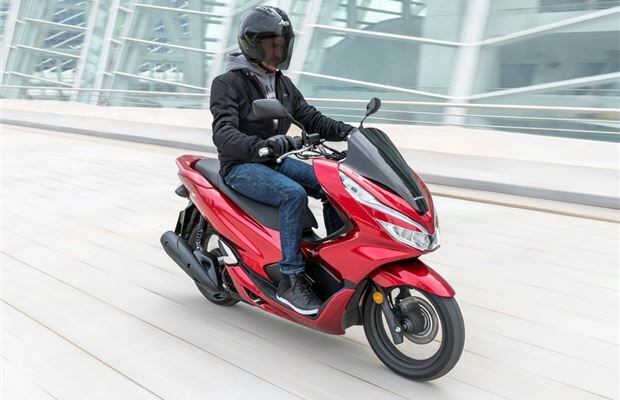 If anyone ever tells you a scooter can never be a complete replacement for a car in town, just point them in the direction of the Honda PCX 125. Aside from all the usual scooter advantages, the Honda is more than up to year-round use and can carry two people from one side of town to the other more quickly and comfortably than many cars. Okay, if you need to travel with more than one passenger the Honda gives best to four-wheelers, but in every other respect, this is all the urban transport you’ll ever need. It’s that good. 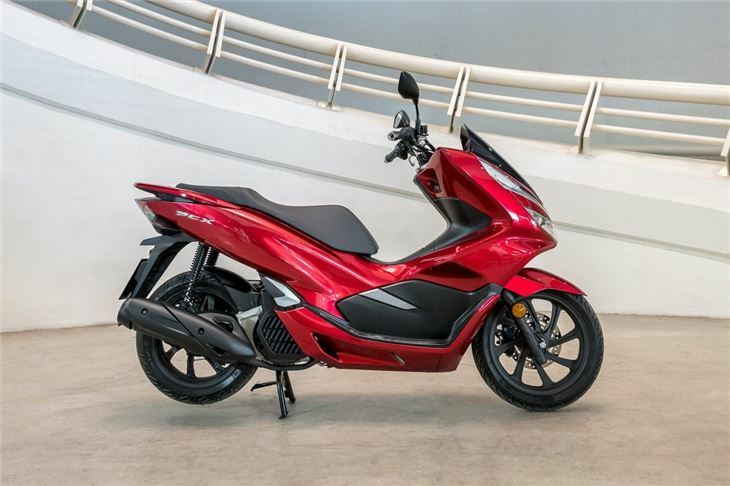 The Honda PCX looks the business thanks to its substantial fairing with LED lights front and rear. 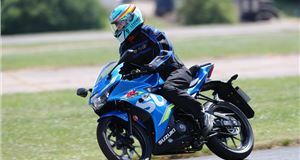 That fairing offers plenty of protection from the wind and rain, though you might want to add the optional screen and an aftermarket leg cover to stay completely dry and warm in the winter. The lights blaze a path at night and there are big indicators to help even the most myopic of drivers work out which direction you intend to turn. Step through and on to the PCX, you’ll find the generous seat is thickly padded and Honda has now removed the backrest to free up more space for rider and pillion. There’s enough room in this scooter’s riding position for all-day comfort, which is just as well as it can cover long distances with ease thanks to the power and range. Pillions fare just as well thanks to the long seat and fold-down foot pegs. The side rail is scooped out deeply enough for a passenger to get their hands under there even with bulky winter gloves. However, fitting the optional top box makes it even more serene for a second person. As for the top box, you can choose a 29-litre item or a larger 39-litre job that can hold a full-face lid. If you don’t want the larger luggage box, you can stash a larger crash helmet under the flip-up seat of the PCX and still have a little room left over for a small amount of shopping. You also get a glovebox in the front leg protector fairing and it comes with a 12-volt charging socket so you can top up the battery on your phone or sat-nav on the move. Above that lies the main dash display with an analogue speedo and a digital read-out for other information such as fuel. 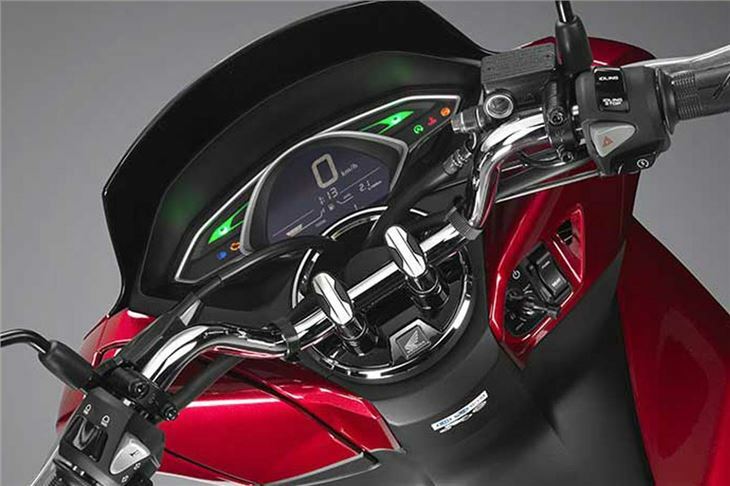 There are separate warning lights for main beam, indicators and engine, and all are easy to see while riding at night. 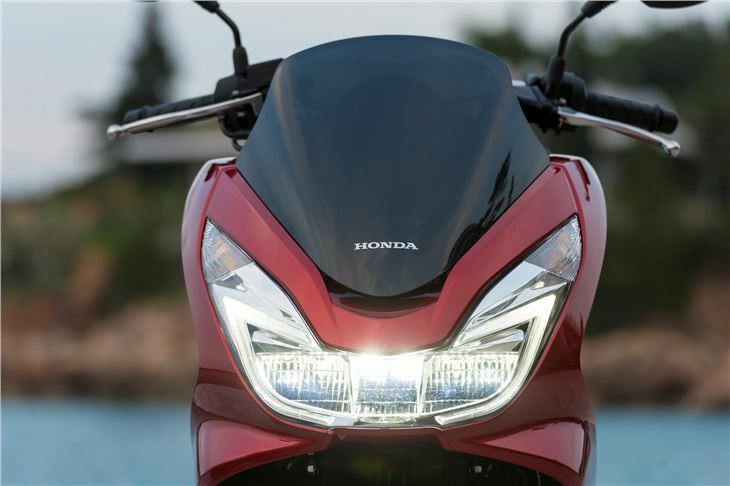 Honda now provides the PCX with an ignition key that slots in behind a protective cover, keeping it safe from water ingress. 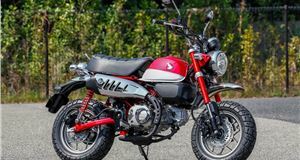 Fire up the liquid cooled four-stroke 125cc engine and it’s very quiet, as you’d expect with this type of scooter. Fuel injection means no faffing with a choke or stutters as you pull away. Just hop on and ride off. 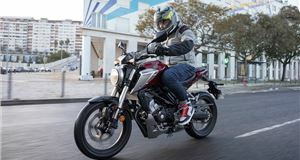 From a standing start, the Honda delivers strong acceleration that’s more than up to the job of staying ahead of the braying commuter pack. The same rings true as the PCX heads out of town on to roads with limits reading 40, 50 and even 60. Beyond that, it takes a little more effort to head up to 70mph, but it will manage it and 65mph cruising is perfectly possible, which is impressive stuff on a 125cc scooter that tips the scales at 130kg. That weight helps the Honda feel very stable at higher speeds, assisted by its longer wheelbase than many rivals that also gives a hint of maxi-scooter style to this model. That impression persists in the way the PCX gathers itself together along roughly surfaced tarmac. Where some 125cc scooters would buck and weave at speeds above 30mph, the Honda feels planted. Much of this can be attributed to its 14-inch wheels, which are an unusual size but work well as a balance between the usual 12-inch items on much of the competition and 16-inch rolling stock that can feel slow-witted in their handling response. No such worries exist with the PCX. It turns in quickly and faithfully, holds its line even when you open up the throttle hard and the suspension has a quality feel to its reactions. Couple that to Honda’s linked brake system and this is a great scooter for anyone recently in possession of an A1 licence or just wants a classy way to get around town. Either way, running costs are very affordable thanks to a claimed average fuel economy of 133.9mpg, which we found was closer to 110mpg in the real world. That means a realistic range of around 170 miles per tank and this is aided by the standard Idle Stop technology that comes with this Honda. It works by switching off the engine when the scooter is standing still to save fuel. There’s an override that prevents it from operating if the battery’s charge is too low, so you’ll never be left stranded at the lights or a junction. 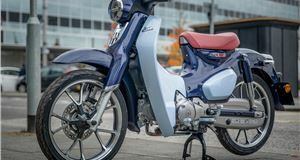 It’s typical of Honda’s approach to its scooters to include this kind of technology. It works without you having to alter riding style or daily routine, which means it gets used rather than being something you forget about. 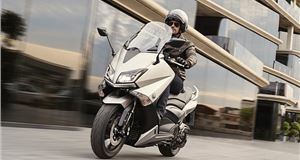 The PCX encapsulates everything that Honda is famed for: build quality, plush suspension and ease of use. 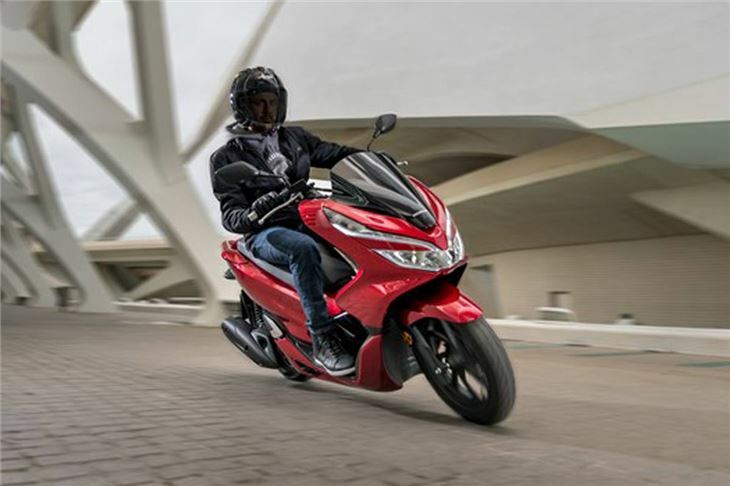 If that sounds dull, don’t believe it for a moment as the PCX is very enjoyable to ride thanks to its nimble handling and excellent ABS-equipped brakes. Best of all, it’s an affordable scooter you can use and revel in all-year round. Top speed 70mph. Fuel consumption 133.9mpg (claimed). VED £19.